Despite the distorted picture America chooses to present about black people, we do defy the odds by rising above the low expectations and systemic oppression placed upon us. Regardless, to what the media may portray young black men as, there are large amounts who represent the highest form of excellence. This excellence has transformed into the latest trend on social media. For the last couple of years, college acceptances have been broadcasted on Facebook and Instagram. 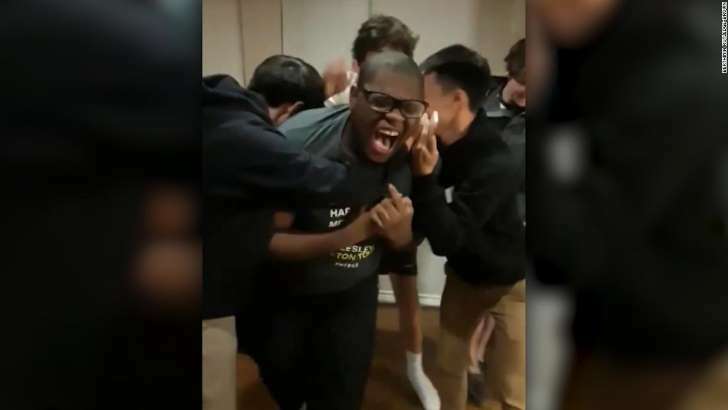 Millions of people have had the opportunity to see high school students celebrated by their peers as they open their college acceptance letters. Houston teen, Michael Brown is one of those people. A 17-year-old senior at Mirabeau B. Lamar High School, Brown applied to 20 top-tier schools. He opened his first acceptance letter in December, and it’s been once acceptance after the next. Since then, Brown had been accepted to all 20 college choices with full scholarships. He also received an additional $260,000 in other monies. Brown is currently a part of the school’s debate team, mock trial and student government. It comes as no surprise the excited teen has decided to major in political science. According to CNN, among the 20 acceptances, eight of his choices were Harvard, Princeton, Northwestern, Yale, University of Pennsylvania, Stanford, Georgetown and Vanderbilt. “It’s something I’m proud of because I see my hard work paying off, determination paying off, sacrifices paying off. For me, it’s important to highlight that I’m not the only student of color who is achieving,” Brown told CNN. His mother, elated of course, stated she has poured all her energy into her son, and that hard work has paid off. Brown has only received one B during his academic career. Brown will make his college selection on May 1.